On Friday 9th February, we celebrated Remembrance Day and, in particular, the WW1 Centenary. As a school we felt it was important to recognise and remember those who were part of the armed forces who risked, and sadly lost their lives. 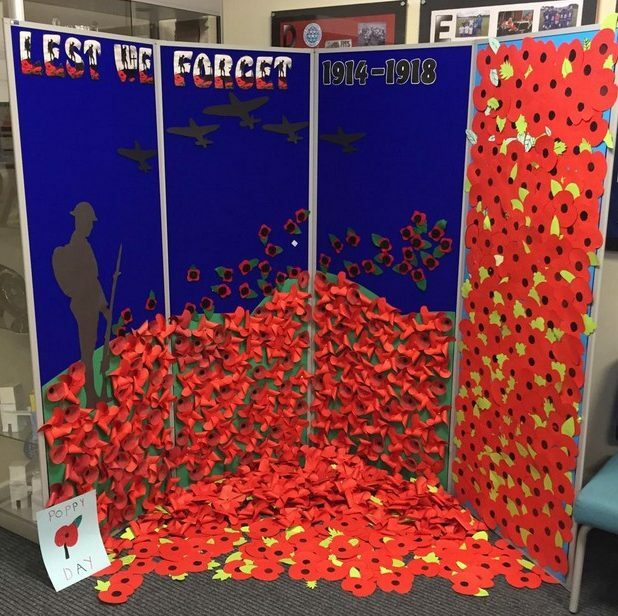 Along with observing a minute’s silence during a whole-school assembly, each pupil had the opportunity to get involved by creating their very own poppy which formed part of a beautiful display in our Reception Area. 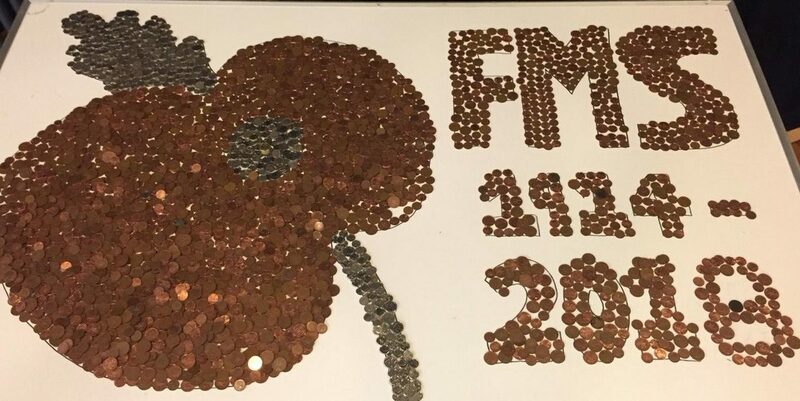 Pupils also collected as many silver and copper coins as possible, using them to create a giant poppy in the hall.